This is truly a last minute deal, but you will shoot a monster Buffalo and get to hunt in a place where NO ONE gets to go. This hunt is 100% legal and inside the bounds of a very famous park in RSA. This hunt is a one in a lifetime opportunity to hunt in that park, legally and take a monster bull. The catch is, it has to be done by OCT 30, 2015. This area has no limit on Buffalo size and the bigger the better realistically a 48″ is possible. 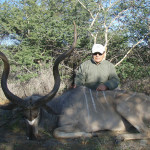 The outfitter has one Buffalo, one Kudu and two Nyala on quota. The hunt includes, daily rate, Buffalo TF, meals, lodge, PH, trophy preparation. This is a tremendous deal for a chance at a monster Buffalo and the opportunity to legally hunt where no one else has in decades. CALL ME ASAP IF YOU ARE INTERESTED! Please email me for more details on this amazing last minute deal on once in a lifetime huge Cape Buffalo. One of my South African outfitters has one Elephant and one Buffalo left on quota for this year, the hunt must be done before the end of October. The Elephant is fully exportable. This is a big area and shares a 30KM river border with a very famous park. 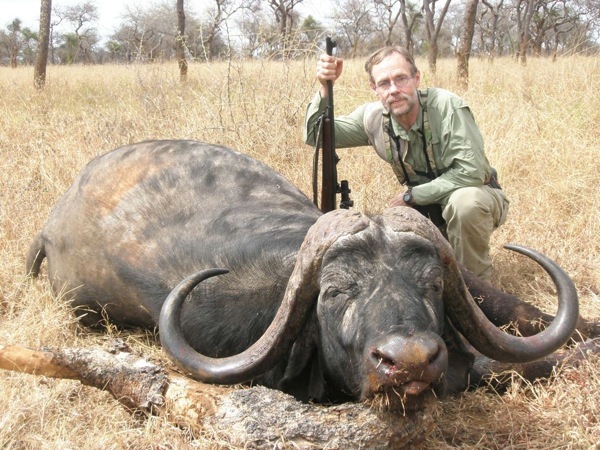 Elephant population is very good and there are exceptional numbers of Buffalo big Buffalo in the area, Buffalo up to 48″ have been spotted and the outfitter says hunters will shoot at least a 44″ Buffalo. The hunt is based form a nice lodge and is 14 days long. Elephant Trophy Fee is based on weight. Elephant license is $1,000 and Buffalo license is $500. 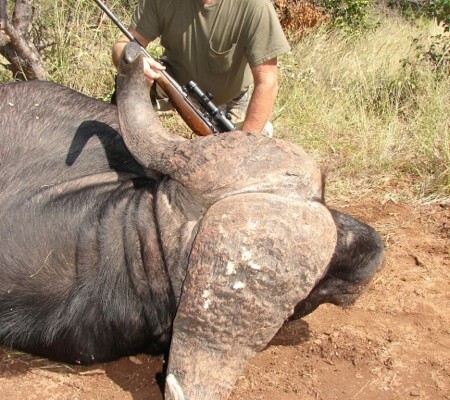 Please email me for more details on this exportable Elephant and Buffalo hunt South Africa. One of my outfitter who hunts in the APNR has some leftover Buffalo for this year and he would like to make the AH community a special offer. The area he hunts are mainly Balule and Klaserie, these area have big Buffalo populations and some very good bulls are taken every year. this is a 7 day 1×1 hunt that normally sells for $16,500. Discounted to $13,500 and we will include one observer for free. Even with such a focus going on Zimbabwe right now, our hunting outfitters are still working hard and continuing to hunt. I have some late season Zimbabwe hunt available on some newly released quota. These are for this 2015 hunting season. The are is in the Hwange campfire area, the hunt will be based from a nice camp just outside the area, the outfitter may utilize a fly camp in the area if need be. Hunters should plan to arrive and depart from Victoria Falls, the camp is about 1 hour drive from the airport. I have an incredible deal for a discounted hunt in Tanzania, this hunt has been heavily discounted to make sure the dates are filled. We have two openings available and I don’t expect them to last long. This is a true African experience in the souls and an incredible value, Tanzania is one of the greatest places on the planet to hunt and the Selous is an unbelievable area. including cook, mess steward, trackers, gun bearers, skinners, and general assistants. transporting equipment and crew to and from the hunting areas. and kitchen equipment, utensils, refrigerator, and freezer. vegetables. Special requirements catered for as far as possible. -Medicine chest including snakebite serum and malaria tablets. -Skinning and preservation of trophies in the field. -A company representative to assist you on arrival and departure. -The use of a high frequency two-way radio. -Government trophy fees (See Trophy Fees). -The cost of alcoholic drinks, beer, and tobacco. -Air charter to and from the hunting areas and commercial travel to and from Tanzania. -Hotel accommodation before and after the safari. -The cost of transporting equipment and personnel to places beyond our concessions. 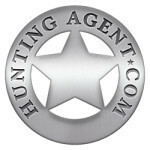 -Gratuities to staff and Professional Hunters. -Airfreight of trophies from Tanzania to final destination. -Any extra Tourist temporary firearms import duty and license @ US $250.00 per gun. -Faxes or phone calls made on behalf of the clients. 32 Kgs (70lbs) $ 15,000.00 and Elephants over 32 Kgs $ 25,000.00. One of my hunting outfitter has three late season Buffalo left if anyone wants to take advantage of the deal. Fly into Bulawayo or Harare for P/U (Bulawayo is preferred) but either can be accommodated. The private conservancy is 24,000 acres. These discounted Buffalo hunt Zimbabwe are 7 days and all in priced with the trophy fee $12,000. Dates available are between August 15 and October 28. There is PG in the area that can be added as well per TF prices. 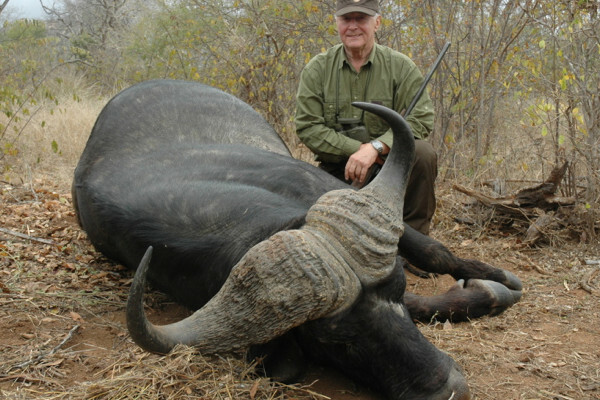 This is a great deal on a real Buffalo hunt in Zimbabwe. 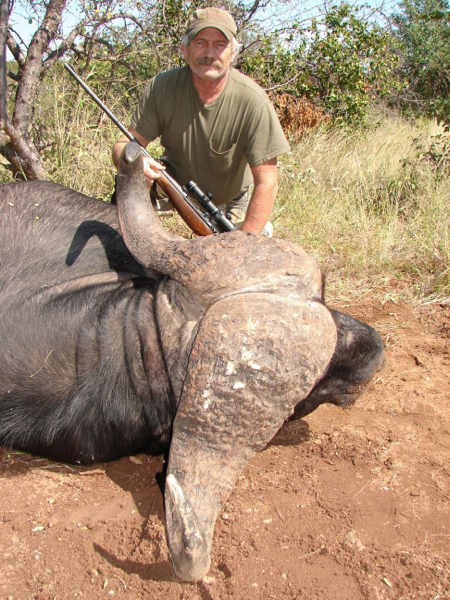 One of our hunting outfitters has some free range Buffalo hunts in the Kruger area for sale. He is offering these at a discount rate. 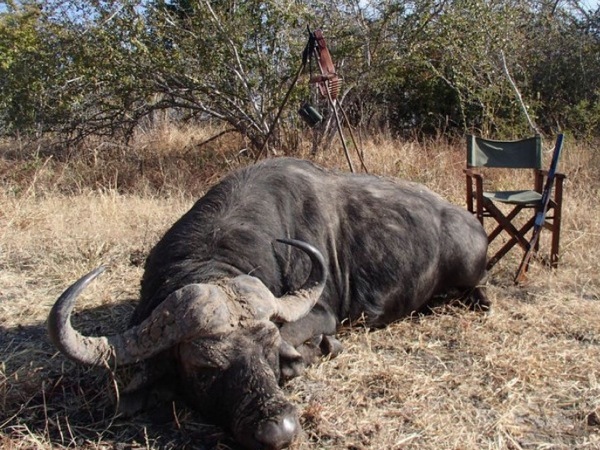 This is a real deal hunt in the Kruger area for old hard bossed Buffalo bulls up to 38″ but if the client sees a big one over the size range and in the age class, they will be allowed to take it. The price is an all in price including trophy fee daily rate and airport pickup, the outfitter has also agreed to add an observer in at no charge. there is some limited plains game in the area and those can be taken as well for applicable trophy fees, observer is allowed to hunt as well for no additional charge. This is a quality free range hunt with a well known outfitter in a free range area, this is not a ranch hunt. 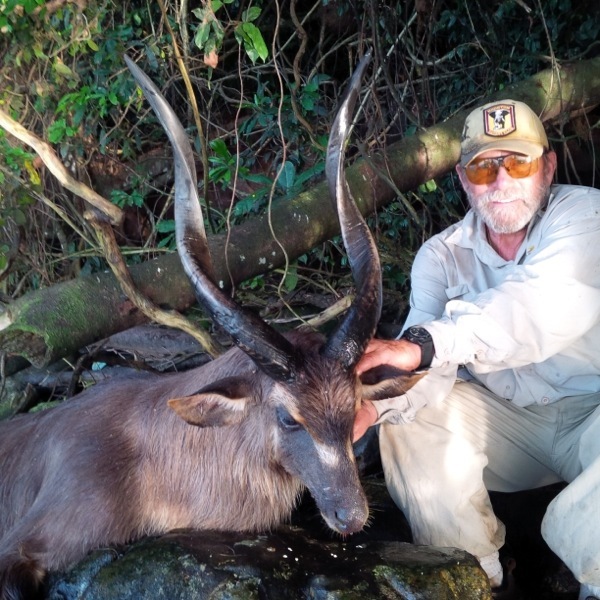 My hunting outfitter in Uganda has a couple of tags left in his area for Ssese Island Sitatunga and Nile Buffalo. He is offering some special pricing for these hunts to try and fill them. 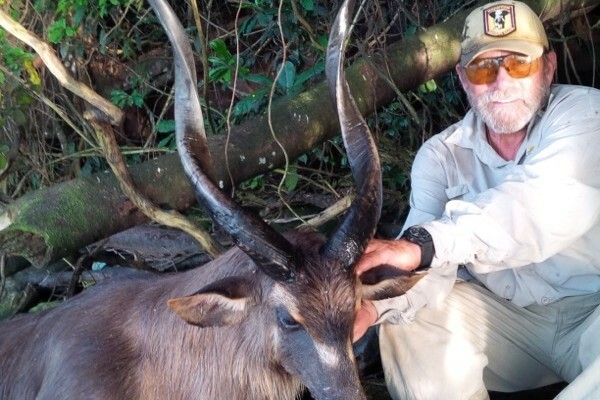 He has 2 spots available for Ssese Island Sitatunga, 10 day hunts $1500 per day and $5,000 trophy fee for the Sitatunga, making the hunt $20,000, regular price is $25,000. license permit etc are $2,050. 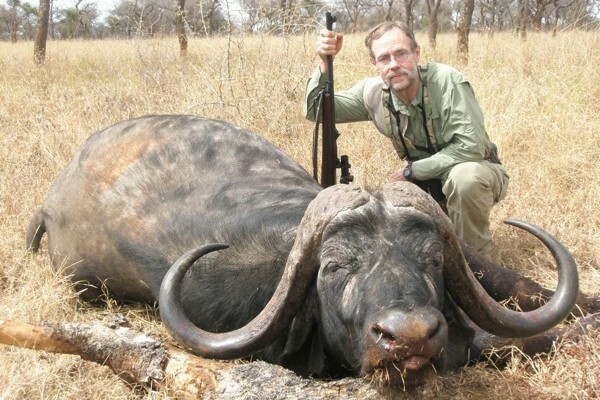 He also has two spots available to hunt Nile Buffalo, 9 day hunt at $1500 per day, trophy fee $5,000. other species available on a trophy fee basis are: Jackson’s Hartebeest, Defassa Waterbuck, Guenthers Dik Dik, Bohor Reedbuck, EA Bush Duiker and Oribi. License, permits and charter are $2,850. If you are interested please let me know ASAP. With Buffalo prices around Africa continuing to rise, there are still a few good deals to be had. 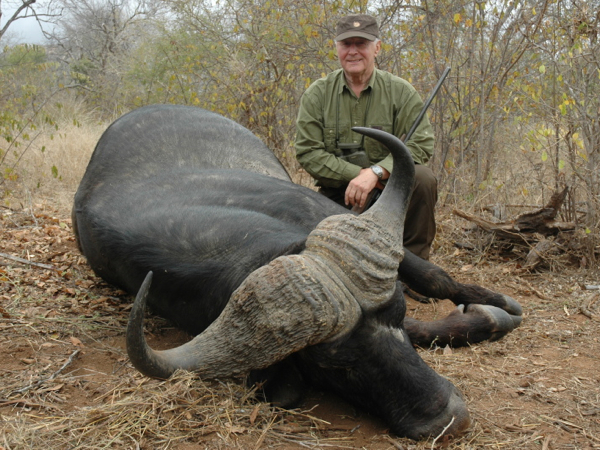 My outfitter in Tanzania is offering a Tanzania Buffalo hunt special 2015 package for AH members. While Tanzania will never be cheap, the option to take 2 Buffalo on one safari does make it much more attractive. Especially with the cost of a single buff hunt in Zimbabwe right at $18,000. The area is in the Selous and has not been hunted for many years, price includes: All inclusive wilderness luxury tented camp, 3 course dinner, butler, daily laundry, experienced staff and some of the best PH’s in the business. The hunt is 10 days and includes all the government fees, transfer and import of 1x rifle. There is also some limited PG available on quota as well, PG is on a TF basis. 10 day 1x Buffalo included $19,000, second Buffalo can be added for $7,000 USD. Prices do not include additional trophy fees, export of trophies, or tips. 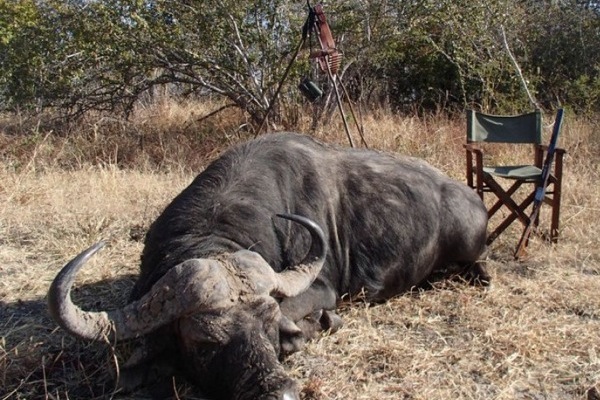 One of my outfitters has some late season Buffalo hunts in Zimbabwe available. these hunts are in his Save Valley area. The Hunts are 10 days long and are $450 per day, trophy fee for buff is $8,000. $12,500 for the Hunt including TF. Full bag of plains game will also be available at current prices. Available dates from now till Dec 23rd, this year. This a great area for Buffalo, I expect success rate to be very good, with buffalo in the 35-37″ range as a norm.